Went with Fathom Green for this one. Thank you, much! I appreciate it! 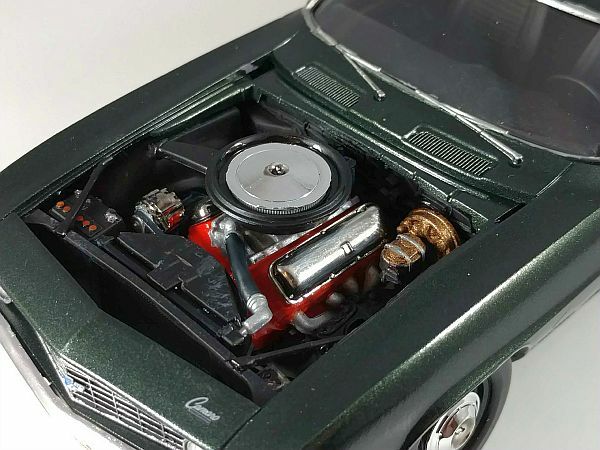 modeller123, you must find this build nearly perfect, then, as COPO does not infer aluminum block. It is the ZL-1 that has the alloy lump. Cheers. I may have had a small and distant hand in part of this kit. 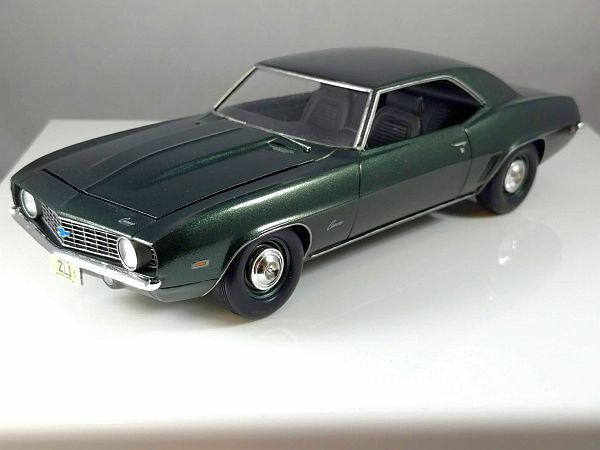 About ten years ago I was at the SEMA Show in Las Vegas, encountered the Revell guys, talked about upcoming subjects including the COPO Nova and Camaro. I dragged them to a friend's display where sat a 99% correct red 'Continuation' '69 COPO Camaro, done from one of the Dynacorn bodies but pinpoint correct in all of its mechanical and finish components. They spent a half-hour or so shooting pics of anything that didn't move out of the way! The kit came out great so it looks like that session worked! Super nice sleeper. Love it !